I’m honestly in disbelief that another month in 2018 has come and gone. I feel like this year is flying by faster than others. But I am beyond grateful that Rochester is entering the warmer months and it’s starting to really look like summer is right around the corner! If you’ve been following me on Instagram, then you already know that April was my month of surrender. I decided to take the month to take a step back from my business and focus on my mindset and other aspects of my life that I felt like I was lacking. Only work 4 hours a day. 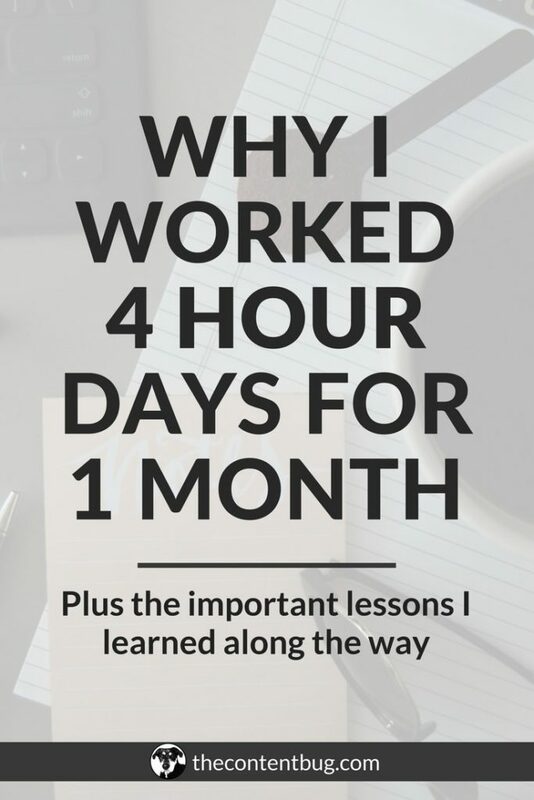 As a full-time blogger/business owner, especially still in the beginning stages, I know how crazy it sounds that I set a limit to only work 4 hours a day. But I needed it. In March, I launched 2 paid products. 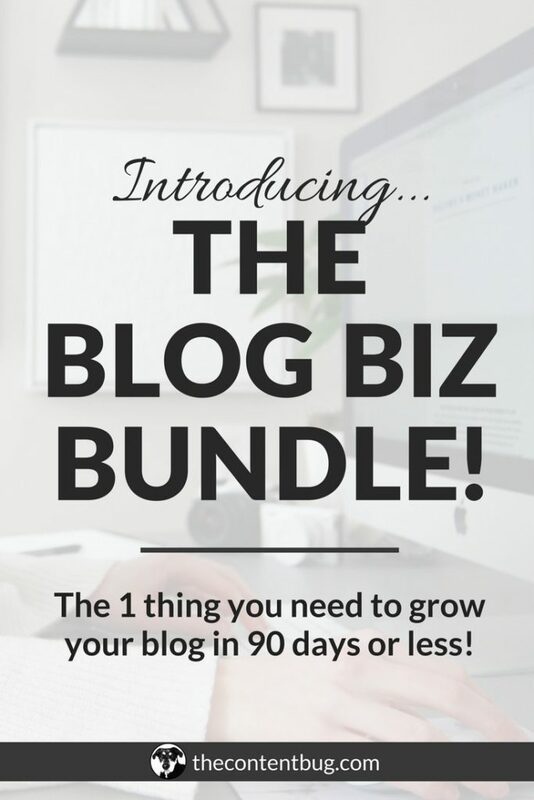 I launched my mini-course, The Blog Biz Bundle, and I launched my ebook, The Blog Hustler. Now launching a product isn’t easy. Launching 2 products back to back is even crazier. But I did it none the less. February and March were filled with all things product creation and launch. I ended up working late several nights a week, losing sleep because there was so much to be done, and skipping several workouts because I told myself that I didn’t have time. So when I was on a 5+ hour road trip with no one else in the car, I had a realization that I had to slow down. If I kept going the way I was going, I was going to hit burnout. And I was going to crash hard! On that car ride, I felt the word surrender come over me. I said it over and over in my head just trying to understand what it meant. And then I realized that I needed to take more time surrendering and less time trying to control every little thing I can. So the first thing I decided to do was to stop checking my analytics. I had gotten into the terrible habit of when I was bored, I would check all of my stats. If they were good, I was happy. If they were bad, I often told myself that I had to put in more work. To say the least, it was an unhealthy relationship. When it came to limiting the people who have an influence on me, I had this realization when I was scrolling through Instagram. Sometimes I would scroll and I wouldn’t recognize the accounts. And even worse, some people I was following I would compare myself to every time I saw them post. Again, it was unhealthy, so I unfollowed over 500+ people on Instagram to limit who influenced me. And then when it came to my 4 hour work days… this was a last minute add. At the time, I felt guilty taking time out of the day to workout. I felt like I had to eat breakfast and lunch at my desk. If I wasn’t working late, I told myself that I wasn’t working hard enough. Just like the other 2 things… this was another unhealthy relationship. So to completely dedicate myself to “surrender” I had to put a limit in place so I could hold true to my intention. Working 4 hour days was it. Honestly, I don’t even think I can boil down what I learned in April. There were so many lessons that I learned in just 30 short days. And there is so much that I want to tell you. I bet you want to know how working only 4 hour days went for me, right? There were several realizations I had while working my 4 hour days. But one of the most important ones was that working a productive 4 hours is better than working an unproductive 8 hours. When working a desk job, it is so easy to get distracted. And although I’m pretty amazing at limiting my distractions, I can spend a couple hours at my desk not really doing anything of importance. So this month, I set timers for myself to make sure I stuck to the 4 hours. And since I only have four 1 hour timers during the day, I knew I had to hustle hard during that time! I ended up being so much more productive and getting way more done than I thought possible in a day. I wouldn’t say that I got the same amount of work done in April as I would have if I didn’t set this limitation for a whole month. 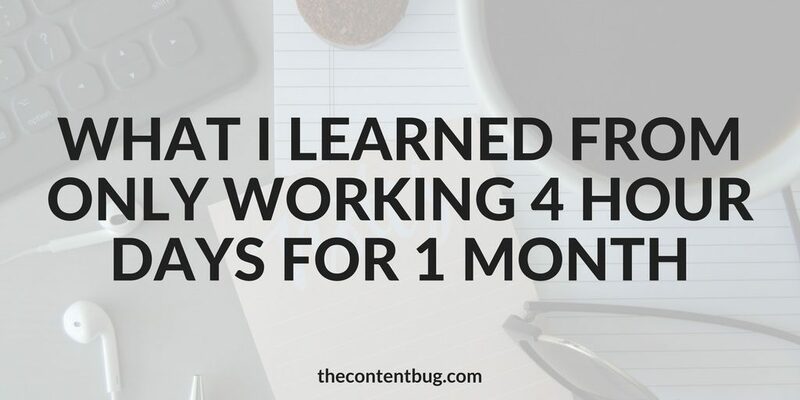 But it helped me to remain consistent with my productivity and spend less time at my desk. When I first started working for myself full-time, I thought that I had to be at my desk by 8 am. If I was running late on my morning routine, I would either skip reading, showering, or getting dressed. More times than I would like to admit I worked the first few hours of the day in my robe. But with my month of surrender, there was no point of me being at my desk by 8 am. If I did, then I would finish work around 12 or 1 depending on how my breaks went. So instead, I took the mornings to get good with myself. I would take the time to exercise without guilt. I would read, meditate, journal, and get ready for the day. Because I had more time on my hands, I told myself that I wasn’t allowed at my desk if I wasn’t fully dressed and ready for the day. Meaning hair and makeup done as well! By the end of April, I wasn’t starting some of my work days until 1 pm. Some would start at 11 am. Some would start at 9:30 am. But for the most part, my work days didn’t start until after 10 am. It’s only because I work for myself that I get to do that and I’m beyond grateful! I haven’t had the best relationship with my health all my life. For the last few years of my life, I only wanted to work out to change the way my body looked. I was extremely unhappy with the way I looked in the mirror. I would tell myself that I was disgusting and fat. And I only wanted to go to the gym to change my body. Since then, I’ve completely changed my mindset. Thank goodness. I’ve come to realize that I love working out because of the way it makes me feel, not because of the way it makes me look. When I work out in the morning, whether it’s yoga, a walk, or an actual gym lifting session, I notice that I’m happier and I have more energy, motivation, and focus throughout the day. In April, I worked out just about every single day. Honestly, I think I only missed 5 days total of working out. And to be 100% honest with you, because I worked out more than I have in the past few months, I felt not only felt amazing, but I started to notice a real difference in my body. The back of my arms lost almost all of the red bumps and I’ve noticed a small difference in their size. For the first time in years, I can see actual definition in my arms when working out! My booty has completely taken a new shape. And my abs will randomly peep through from time to time. I don’t think anyone else would notice these minor changes but that’s not the point. Because I allowed myself the time to work out daily, I received so many benefits. And I’ll continue a healthy workout routine moving forward. Let’s be honest… checking analytics is a huge waste of time. While you’re worrying why 2 people unfollowed you, your competition is taking the time to produce more content. So why do we worry so much about analytics?! In the blogging industry, it’s a numbers game. How many followers do you have? How many pageviews do you get a month? How many brand deals have you landed? When I used to check my analytics, I would check just about everything all at once. It would take me a half hour to go through all of the data! And most of the time I did it because I was bored, procrastinating, or didn’t know what project to work on next. But without being allowed to check my analytics, boy oh boy, I realized what a giant waste of time checking analytics truly is! I felt free. And it as amazing. So from here on out, I’ll be checking my analytics very rarely. Maybe only even once a month for these reports. Who knows. Raise your hand if you’ve ever compared yourself to someone else! I better see your hands raised because I know that I’m not the only one. When it came to unfollowing several hundred people on Instagram, I notice that I was only following certain people because I was envious of them. Or that I considered them to be on the same level as me so I wanted to know what they were up to. And as you probably already know, comparison will steal your happiness. So instead of feeding into this mindset, I decided to unfollow everyone that I compared myself to. I stopped visiting their social media profiles and I stopped visiting their blogs. I just let me be me. And it’s 100% freeing! 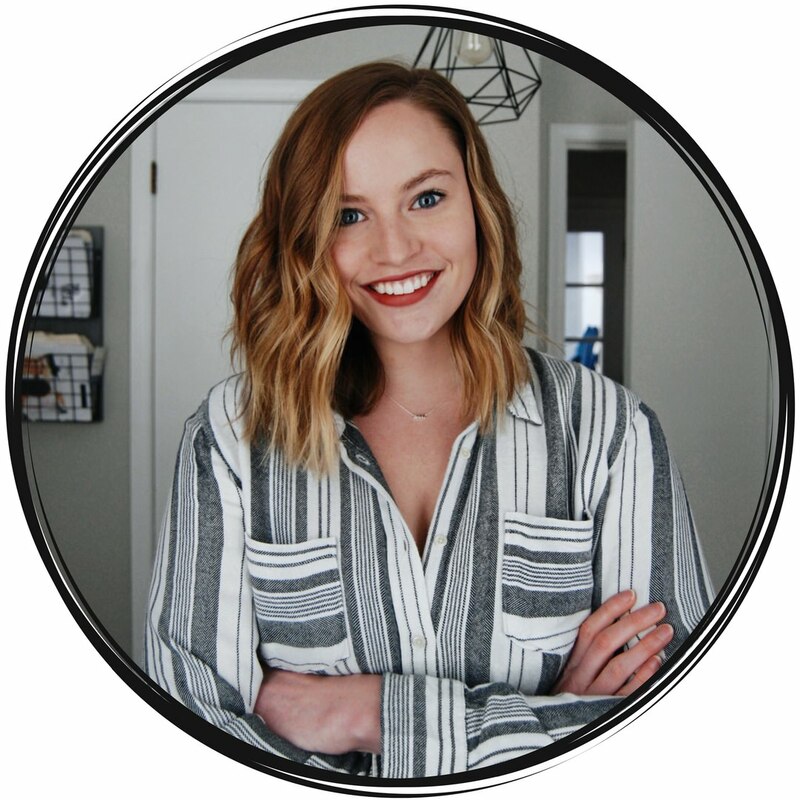 Since I launched The Blog Biz Bundle and The Blog Hustler at the end of March, April was my aftermath month. That meant that I had to take the time to make sure that all the proper systems were in place to generate sales post-launch. So most of my time was dedicated to post-launch of those 2 products and creating new content for you guys! I want to be able to create several pieces of new content each week across all my platforms. So this is what was launched this month. This month I launched 7 new blog posts! AHHH! On my YouTube channel, I launched 8 new videos. Stay tuned until the end of the blog post for a special announcement of what you can expect in May! As soon as May 1st hit, the first thing I did was check my analytics. I wanted to check them in the morning to see what was going on and if there were any fires I needed to address. And to make sure that I didn’t spend all morning just surfing through my analytics, I decided to check them before I got my workout in. That way I had a designated break between analytic checking and the rest of my work. It honestly felt kinda dirty typing Google Analytics into the search bar. But when I checked out my analytics I was pleasantly surprised. My website traffic performed very well in April! And the best part was the more traffic than ever before was coming from Google. After doing some searching through Google Search Console, I realized that SEVERAL of my blog posts are appearing 1st in search for specific keywords. (Don’t worry I’m gonna do a whole blog post about this). I think I’m most excited about this income report compared to any other one that I wrote in the past. If you’re new to my income reports, I only document the money that actually hit my bank account. So I don’t take into consideration the money that I have waiting to be paid out. For example, I made $225 from Bluehost affiliate program. But I haven’t been paid out yet! So that’s not included in this report. Now that that’s out of the way, let’s get into the report. I’ve been using Google Adsense since basically the start of my website. And I finally (FINALLY) hit the threshold to be paid out. So this month I received a little over $100 in ads income. I’m a part of 3 different companies affiliate programs through Share-A-Sale. This month I received $137.32 from commissions. 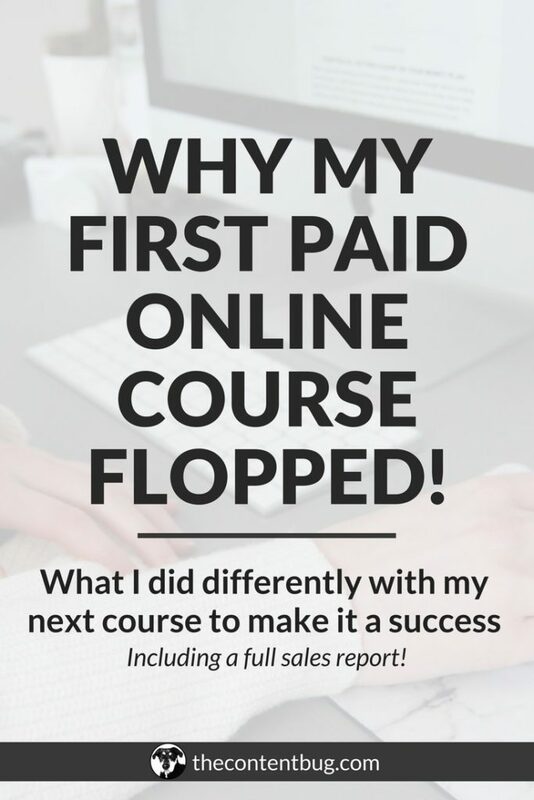 And then, of course, you already know that I made money with my course and my ebook! So this is how much money I received in my bank account from those 2 products. In February, I decided to back off from client work to dedicate my time to creating and launching my two products. And I’m glad I did because those 2 products will generate a great passive income for me moving forward. But that’s why there isn’t any income from client work. You can expect to see more income from that side of things soon. Typically in the social media and email report section, I like to include where I was last month compared to this month. But since I couldn’t check my analytics in April, I decided to not write a March recap. It would have been pretty boring and not a good documentation of what happened over the month. So I skipped it. I have access to the analytics of where my email list was at for the end of March. But I don’t have that kind of information for my social media channels! So for this report, I’m going to compare April to the end of February. Overall, I’m extremely happy with my growth. 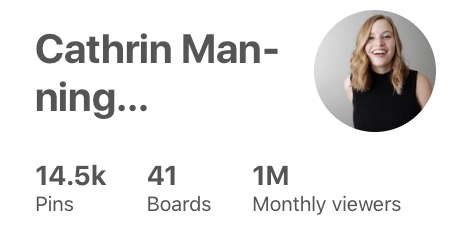 In April I hit over 1 million average monthly viewers on Pinterest. And my email list gained over 13 people in just 1 day! When it comes to my Instagram, I had a LOT of people unfollow me when I unfollowed them. So I expected my Instagram followers to be lower than normal. 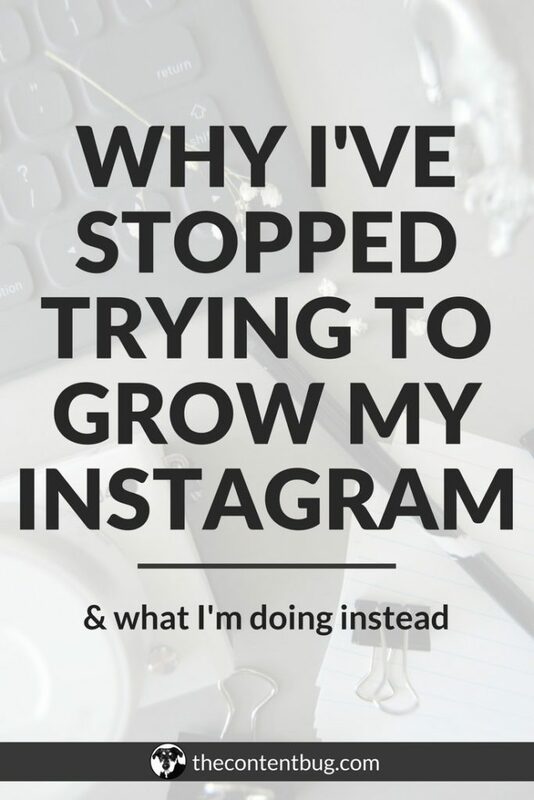 I wrote a whole blog post last month about why I stopped trying to gain more followers. So if you’re wondering why I’m not stressing about that follower count, you’re gonna wanna check that out. There are a couple of things that you can expect in May. But I can’t tell you all of them yet. To start, near the end of April I asked you guys on Instagram stories if you cared when I stuck to my Tuesday schedule or if you would rather me just publish blog posts in the moment. That way it’s more real and not as planned. You voted for me to just go for it and post whenever. 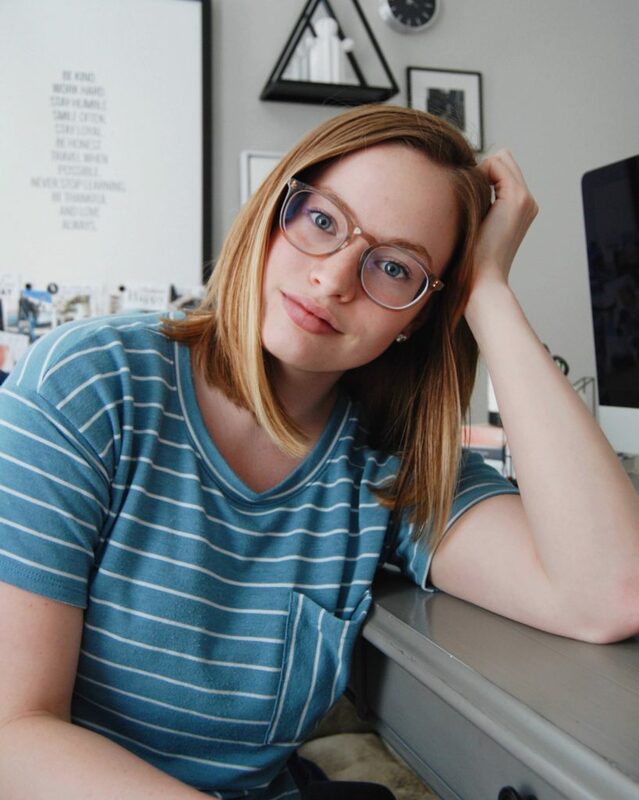 So here I am sharing a new blog post on a Thursday! From here on out, blog posts aren’t going to be launched on a specific day. But hopefully, I’ll post a couple times a week. My goal is for you to keep checking back with my blog a couple times a week to see what’s going on, soak up some information, and transform your life day by day. But if you want to be updated with when new content is up, follow me on Instagram! I share when a new blog post, Instagram photo, and YouTube video is launched. This month I’m going to launch my 100th blog post on TCB. I seriously can’t believe that I’ve written 100 blog posts! But for the special event, I’m not only going to write a very special blog post. But I’m also going to be hosting my first ever giveaway! It’s going to be announced in that blog post, to my email list, and on Instagram. So you’ll want to either subscribe to my email list or follow me on Instagram to be the first to know! I don’t have all the details yet. It could include my favorite book, one of my paid products, a productivity guide, planner, stationery, or some other goods. Who knows! You’re gonna call me crazy. But I’ve actually been working away on 2 other new products for you guys. Things that I know you will absolutely LOVE! One of them will for sure be launching in May. I’m hoping to launch it the last week of May. But again, I’ll keep you guys updated on my email list and through my Instagram. And that’s it for this month’s recap! I know I started my book club back in January and I do plan on continuing that in the future. But I really want to break them out into separate blog posts! So I will be launching one of those very soon talking about the book Claim Your Power by Martin Kipp. As of right now, I gotta go get some other work done. I love you guys so much. And remember you can conquer anything you set your mind to.